The recent suicide of Robin Williams is a tragedy for his family. For the rest of the world it is a great loss. I’ll admit to being a huge fan of the man. I understand addiction. I also understand some things about depression. Did Mr. Williams have Bipolar Disorder? I don’t know, that is between him, his family and his doctor. The discussion that we should be having on an International scale is how we as humans view and treat people with Mental Illness. Depression is a mental illness. There is no shame in being depressed, or seeking treatment for it. Yet. The headlines in one major paper referenced the fact that he was found in his bedroom, which was not the same bedroom his wife slept in. Reports are that his children are being badgered by the media, specifically people on social media who are being less than polite. This is shameful. It is not our business the private lives of celebrity. 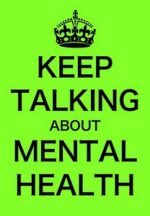 What does it say about the mental health of all of us who think that it is our business? A family lost the most important person in their world. Sure that person was a celebrity. His family didn’t ask to be celebrities, his family didn’t ask for him to take his life in the midst of that depression. The way people are hounding them is shameful. For what? A soundbite? Some lost piece of the mystery that is Mental Illness which Mr. Williams dealt with in his life? We had Mr. Williams in our lives, entertaining us, making us think, laugh, on occasions cry, and most of all, he gave us joy. Joy it seems that was masking his own pain. We need to give the family space. As a member of the human race, I had no reason to know that Mr. Williams killed himself. I had no need to know the salacious details behind how he did that. All that I needed to know was that he passed from this world, and even that information isn’t necessary for my survival. Now that the information is out regarding the state of his mental health, rather than badgering his family, trashing his illness, or using his name for a soundbite, think Rush Limbaugh, we should be talking about how to adequately address the state of mental health treatment in our world. We need to see how we can better treat the mentally ill. Mental Illness isn’t an illness that can be decoded with a thermostat, a blood pressure cuff, or a quick doctor’s visit. It takes many, many visits to a clinician to determine what the illness is, as well as the level of illness. Sadly, when you are a celebrity, you can’t expect the right to privacy that the average citizen has. Doesn’t the memory of all that Mr. Williams gave us warrant a respectful, a peaceful, and a private family time to mourn? If we were under deluge by a barrage of media requests, we would scream about invasion of privacy. Doesn’t this family deserve that same level of respect? Rest in Peace Mr. Williams. I thank you for the joy you gave my family through your sometimes irreverent sense of humor. Zelda and family, (I won’t list you all, Zelda just seems to be the most prominent) my sincere condolences on the loss of your father and husband. Nothing can take away the pain of that loss. Knowing that he lived his life doing what he loved and that he loved each of you, will be the only solace that you have. Please know that not all of the fans that adored Mr. Williams lack humanity. Feeling helpless with Mental Illness.